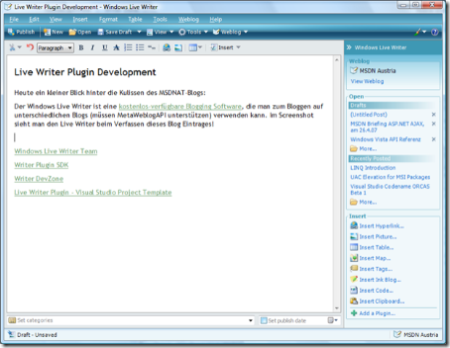 The new UI was like all the Windows Live tools, with a new window to add images and other changes to the core plugins. And it also have the possibility to add tables. Today I found a post on <edit>, that linked an exclusive image of a more recent screenshot of WLW. As you can see they removed the Window Live look&feel, and reorganized a bit the menu and panels around the UI.